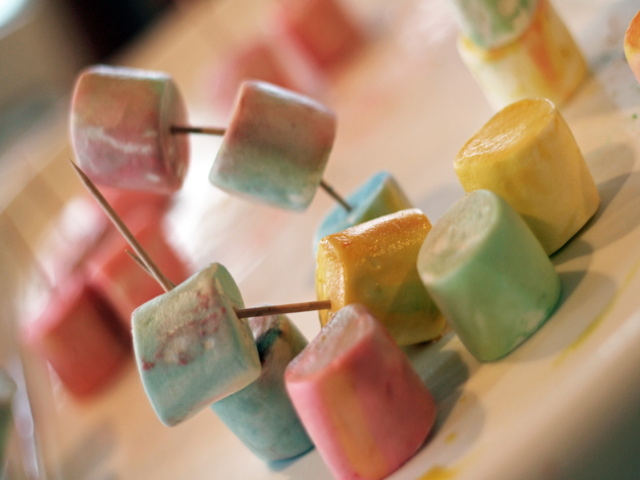 Today we're going to use toothpicks and marshmallows for impromptu structure building and color mixing fun. 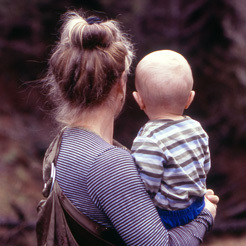 The best thing about this activity is that it can be altered for kids of all ages. 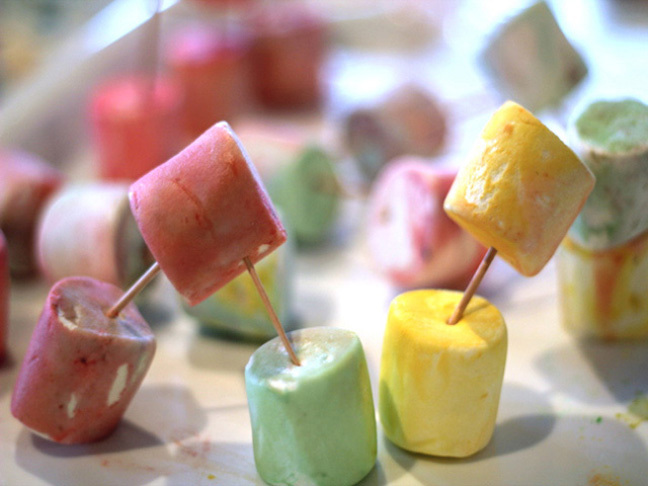 The traditional version uses miniature marshmallows to erect elaborate 3D geometric shapes. If you have older kids, by all means, let them loose and see what kind of multi-tiered structures they can create. 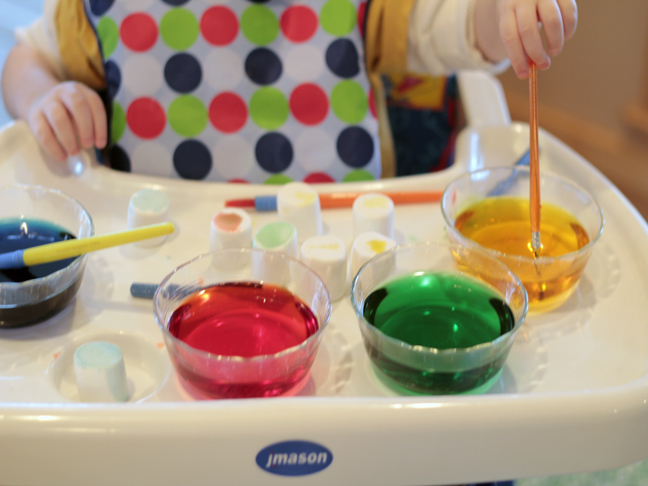 But be sure to also check out this version for toddlers as well as any kid that enjoys experimenting with color. 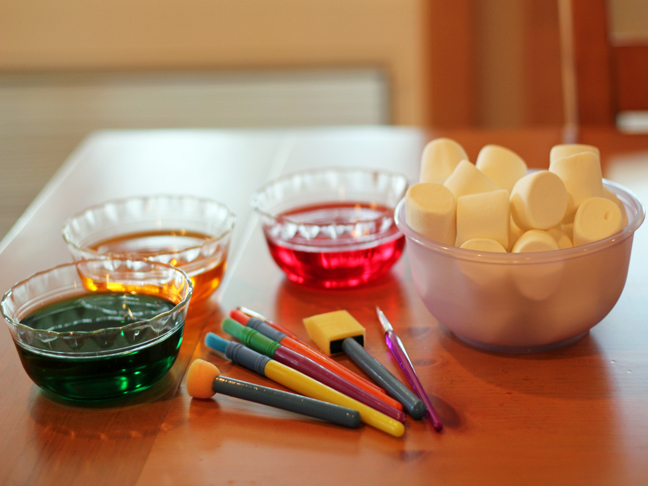 You'll need some very basic materials for this activity – marshmallows, toothpicks, paint brushes, food coloring, and water. 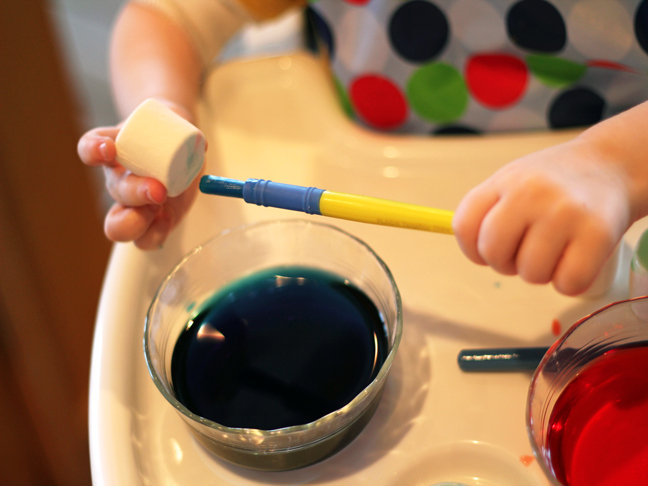 Mix a few drops of food coloring with water in various bowls, then hand your little ones some paint brushes and marshmallows and let 'em loose. Then the inevitable dunking commenced. 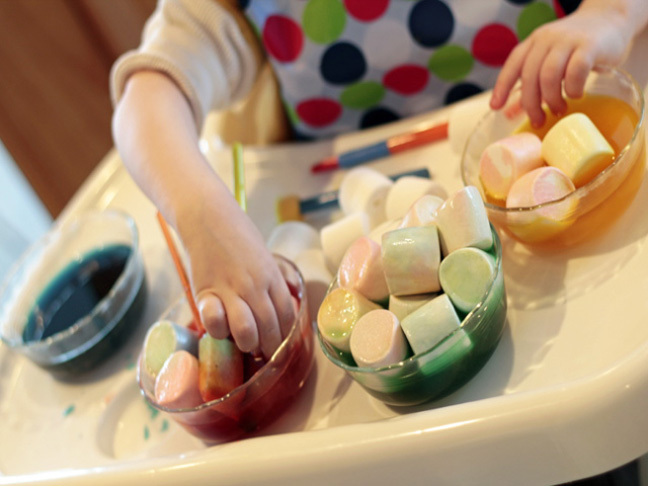 I think older kids will really enjoy painting masterpieces on their marshmallows but for the toddlers it's all about getting messy. My son had quite a time filling up the bowls and it was a nice lesson in color theory as all the pigments ran together. 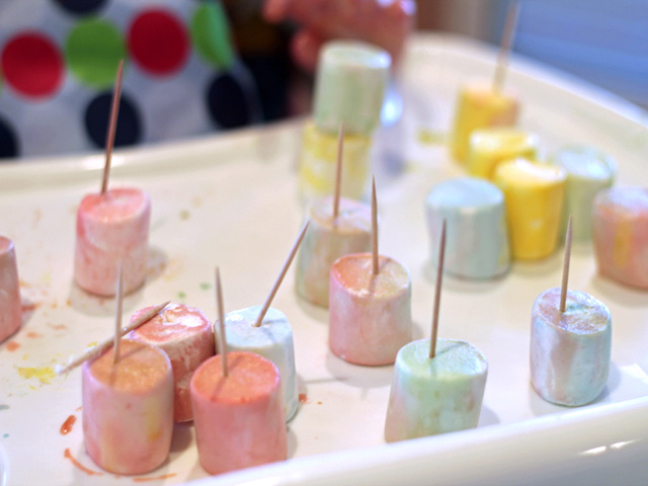 After a while the marshmallows did start to get a little sticky but that just added a tactile element to the activity. For young kids art is about the process not the product. I retrieved the marshmallows from the bowls before they melted and we started in with the toothpicks. We used the standard pointy kind but there are also some available with rounded edges. Either way, parental supervision is strongly recommended. Once again just let your kids take the lead. This is as advanced as my 2 year old's towers got but you're really only limited by the number of toothpicks and marshmallows you have. 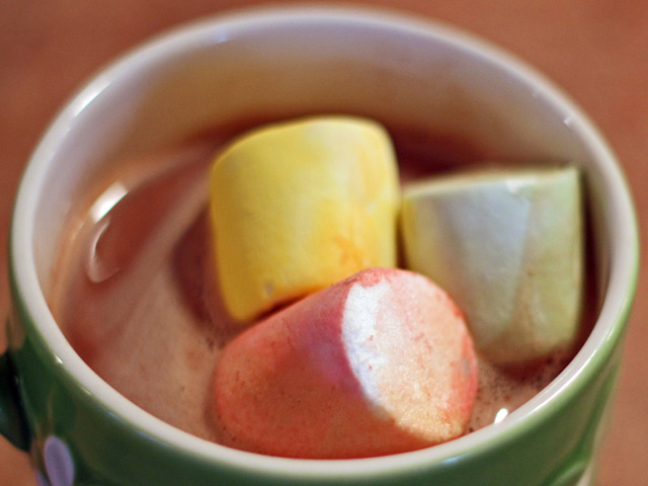 When you're done playing, use the left overs for a colorful cocoa treat!